Skyjack’s Compact Series Rough Terrain Scissor Lifts offer the same industry leading rugged, robust, and reliable scissor lifts that have made Skyjack famous. 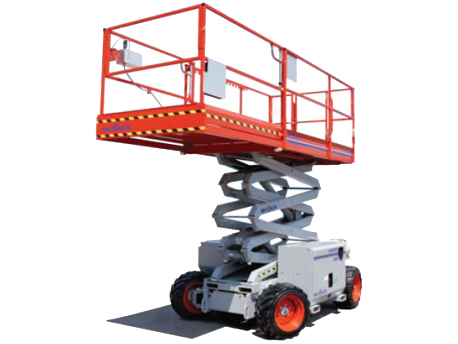 Electric rough terrain scissor lifts have the ability for the unit to operate indoors and outdoors mean this rough terrain scissor lift can be the first machine on site and the last off…increasing your utilization. The SJ6832RT comes equipped with an exclusive cross over symmetrical 4WD system for superior traction. Featuring up to 50% gradeability, these machines can operate on any job site terrain. Standard features also include an easy to use 5’ roll out extension deck, which can be secured in multiple positions for increased platform space and improved reach capabilities. This Compact model is drivable at full height with the roll out deck fully extended. An low stowed height is ideal for loading and unloading tools and materials. Consistent with Skyjack’s robust and reliable design features, the Compact Series Rough Terrain Scissor Lifts utilize Skyjack’s standard color coded and numbered wiring system with analog based controls. Learn more about the Skyjack model SJ6832 RT standard features below. 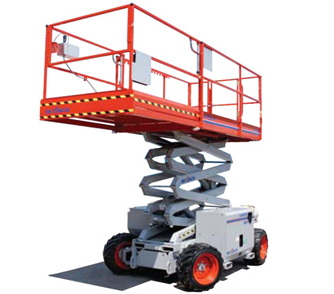 For more information about its rental prices go to our Skyjack Scissor Lift SJ6832 RT product page or call us at (813)971-9990.